Many dating gurus pontificate on the concept of a three-month mark in relationships. This is because most often, once couples make it to three months (or four or even five), the dynamic suddenly begins to shift. Rather than a rainstorm passing quickly through, each partner begins to imagine the person they are dating as a more significant fixture in their life, be that positive or negative. Before you face the crisis or dilemma that often ensues when three months have passed, make sure you’re well informed by discussing the following topics with your partner. Because of the sensitive nature of these topics, it is important to space out these conversations and to allow them to occur naturally and at different times, as you gradually get to know each other. But because communication is instrumental to healthy relationships, these conversations have to happen. 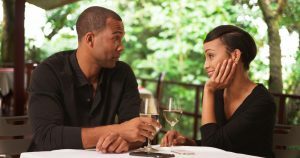 Steer clear of probing questions on these topics during the first and second dates, and even during the third, but make sure that each of them is tucked into the folds of your conversation during these first three or so months. These questions will, after all, help you make sure you are spending your life with the right person. First of all, what are your deal breakers? Determine your deal breakers. These are qualities in a partner that would make long-term commitment impossible for you. If someone is petrified of the very idea of addiction or has scars from growing up in a family afflicted by alcoholism, for example, recreational drug use or substance dependency may be a deal breaker. Other “deal breakers,” for example, are nothing of the sort. Maybe you have always wanted to date someone who will play tennis with you, or who has a certain figure, or who grew up in your religion, but you find that the closer you get to your partner, the less each of these qualities matters. It is necessary for the decision making that you understand which qualities are hills and which are barbed fences. This distinction is important because as time passes, it becomes more difficult to leave a relationship in pursuit of the qualities you need. You may find that you don’t mind it terribly when your partner cannot carry a conversation about sports. You may also find happiness elusive, however, if you realize you have committed to an alcoholic and have grown too attached to advocate for your needs. Keep reading for discussions to have that may alter your perspective and help you proceed better informed. A high percentage of divorces are inspired at least partially by disagreement over finances. If you want to spend your bonus on a new motorcycle, but you feel judged because she saves all of her money in a fund, you may have a problem on your hands. Before three months have elapsed, figure out whether you fall somewhere similar on the scale between frugal and spendthrift. If you don’t plan to have a serious relationship with this person, you should tell them so by this point. Otherwise, you are stringing them along, something that will lead them to resent you, and will ultimately lead to pain and heartbreak. Conversely, if you want a serious, monogamous relationship with this woman but she isn’t consistently available, answers questions about commitment with wishy-washy answers, or refuses to commit to only you, think of this three-month mark as a deadline. This is a deadline by which you can walk away and more easily maintain self-confidence and self-respect. Do not ask her to marry you within the first three months. Most women worth their salt will be freaked out by this and leave you immediately. Do, however, figure out whether she ever wants to get married. This is often an issue when men know they never want to get married, but women want the stability of marriage. When one partner sees marriage as the ultimate romantic act, and the other sees it as old-fashioned or a ploy by the government, finding a new partner is most often easier than reaching an agreement. Rather than setting out your own trail of silver breadcrumbs to maintain homeostasis or convince yourself you will somehow both get what you want, cut bait now. Spend those months or years of dating, fighting, and then healing and find yourself someone who wants what you want. He, she, or they are out there somewhere. This article is not meant to say that you should be asking a woman how many kids she wants as she picks up her fork to dig into your shared cheesecake on the first date. 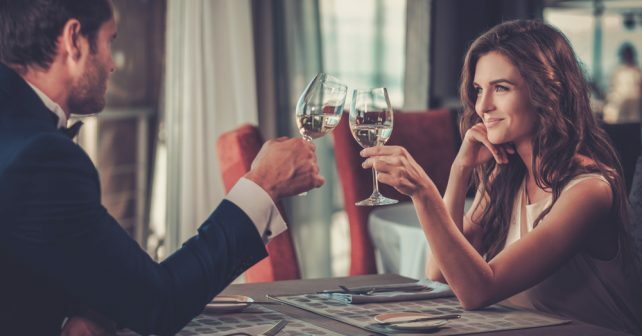 If you do this, most likely she will falter, say something noncommittal, and tell her friends of this strangely forward man she would prefer not to see again. What is important, rather, is to grasp each other’s purview on children before each partner has become a semi-permanent fixture in the other’s life. Whenever there is a natural opening in your conversation that could segue into the topic of future family plans, of which there should be plenty during the first three months of a relationship with healthy communication, take that segue. If she begins talking about how she loves living in the city but cannot imagine living there forever because she can’t envision raising children here, take note. 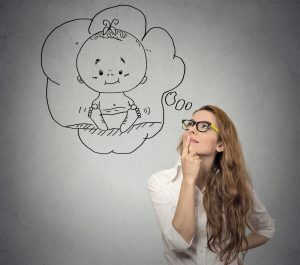 If you, yourself do not want to have children, and you know that with great certainty, this may be the perfect time to have that discussion, or even to diverge. (And remember that not wanting to have children is a wonderful reason not to have them; there is no need to search for further justification or to convince yourself that you should. There are plenty of attractive women who do not want to have children. Conversely, if realizing your partner cannot see herself as a mother would be a nightmare to you, this is an important conversation to have before the relationship gets serious. An important note is that you should bring up any particular facets of childrearing that are non-negotiably important to you. If your children must absolutely, 100% be raised Catholic, you should know by the third or fourth month how she feels about Catholicism. And if she disagrees with you, if this is a deal breaker for you, follow what is best for your vision of the life you want to live. If you once felt this was a deal breaker but find that the idea of life without this woman in twenty years is more disappointing, you’ve found another important answer.